2002 Grand Marche d'Art Contemporain. Gerona. Spain. 2013 – 03 TV 1. In September 2013, Encyclopedia of successful people the eighth edition in Georgia will be published. Fortunately, information is placed in this book about me and about my work . Each of need my help, I am willing to help. Unique means that on the whole world, there is only one such painting. From my hand, the image is not repeated. on which all the image-relevant data are recorded. This is used to authenticate works of art. My work is saved in private collection of well known people such as collection of successful politicians and famous people. For example collection of patriarch of Georgia. I have exposed my work in many countries of the world. All my expositions had one purpose: love, friendship, charity. Each exposition in my country is dedicated to help the poor and I think to continue doing the same in future. Part or whole benefit is always spent in caring for them. For additional information you can see videos on youtube or google, write my name and surname. I am mother of 4 children and live in Berlin with my family. I continue my work. 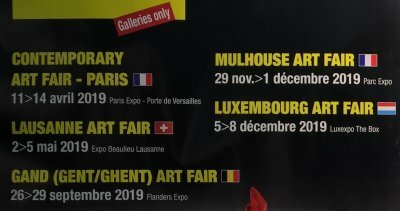 I have planned expositions in many countries. In September 2013 is going to be published encyclopaedia on successful people of Georgia. Fortunately, in eighth part of this book will be placed information about me, about my work. Anyone who need my help I'm ready to be useful. I can offer my work anyone needs it. You can contact me at email ekaperadze@hotmail.de. your Sincerely Eka Peradze.